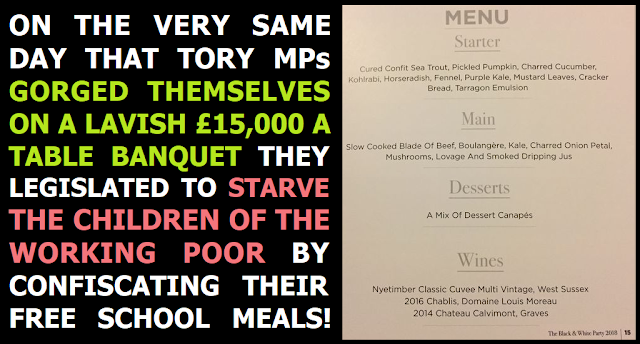 On the evening of Wednesday February 7th 2018 Tory MPs enjoyed a lavish banquet at their Black and White fundraiser event for the assortment of amoral millionaires and billionaires who bankroll their despicable party. Tables at the event sold for up to £15,000, Tory MPs auctioned themselves off in a sickening "cash for access raffle", and Theresa May delighted the crowd with her extremist rhetoric about how she's on a mission to "defeat socialism" (which obviously entails destruction of the socialist NHS). Just hours before this grotesque display of opulence, the Tory party sneaked a piece of legislation through parliament designed to confiscate free school meals from the children of the working-poor. 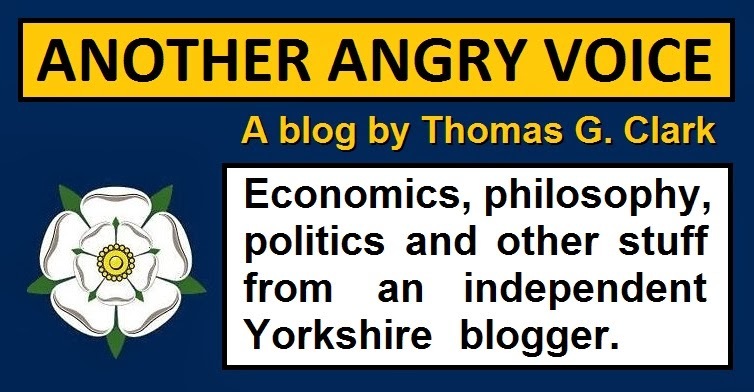 Anyone who has been paying attention to the devastating consequences of Tory austerity dogma and their unprecedented campaign of wage repression will be familiar with the shocking rises in child poverty and in-work poverty since the Lib-Dems enabled the Tories back into power in 2010. As a result of the longest sustained collapse in the real value of UK workers' wages things are now so bad that an astounding 67% of the children growing up in poverty actually live in working households. The Tories have no sympathy whatever for the human catastrophe they've created, and they've decided to deny free school meals to children whose parents earn more than a paltry £7,400 per year. Just imagine earning a paltry £617 and being told that you're too rich for your kids to be provided with a free school meal. The Tories knew that such a move would cause uproar if they tried to pass a specific piece of legislation through parliament to bring in these changes, so they did it via a Statutory Instrument so as to avoid the hassle of parliamentary debates, votes, and press coverage. Just imagine how mercilessly self-serving these Tory MPs are that they can legislate to starve the children of the working poor in the morning, then rush off to stuff themselves at a lavish black tie dinner in the evening, without even a thought for the anguish and suffering they're inflicting on these poor kids and their families. 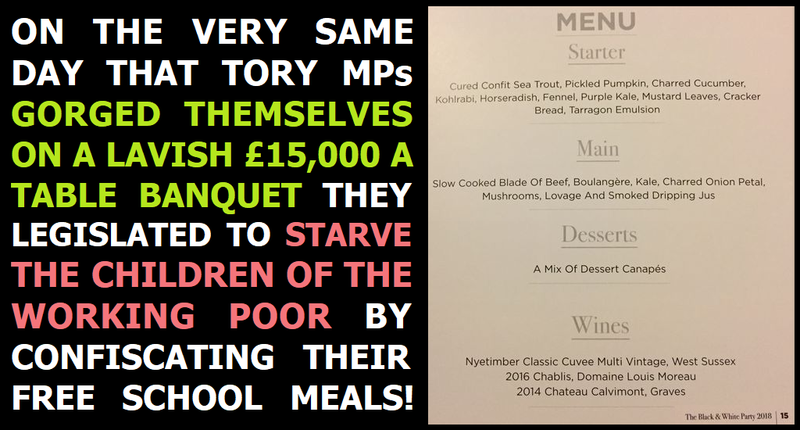 Just imagine being a millionaire/billionaire who can afford to blast £15,000 on a single meal, deciding to donate to a political party that has just legislated to deny free school meals to the children of those who earn way less than £15,000 in an entire year.